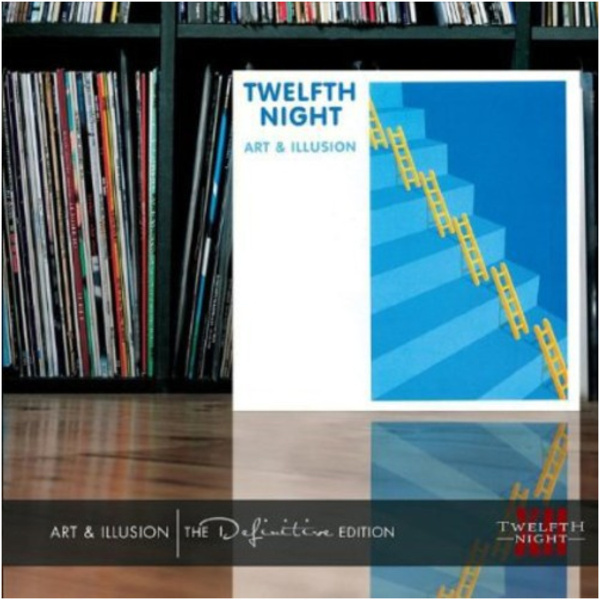 Those interested in discovering the roots of neo-prog owe it to themselves to explore the music of Twelfth Night, and I can’t think of a better place to start than here. Smiling at Grief was originally only available on cassette. The 1997 MSI reissue made the album available on CD, though it disappeared with the label’s demise in 2000. 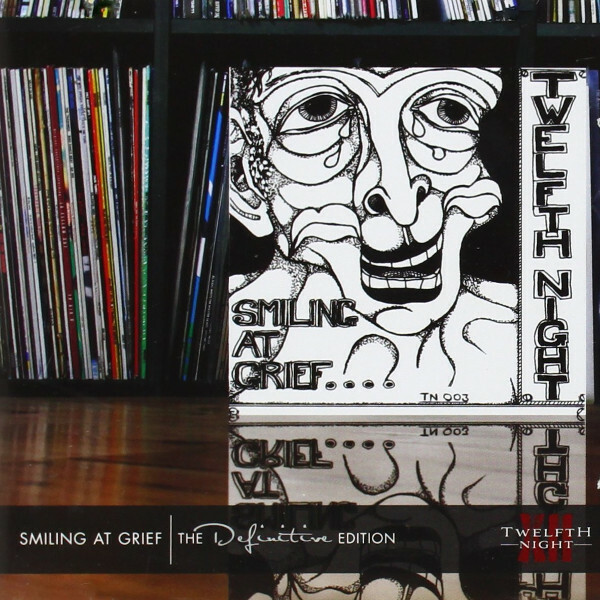 For this edition, the original material has been augmented by numerous rarities from the band’s personal collection, plus a second disk containing the Smiling at Grief Live album. Some effort has been put into cleaning up and de-noising the original recordings, though much of it is still pretty rough. What comes through, however, is a young group hungry to carve out a space for themselves in a crowded and not always friendly music scene. But with a vocal talent like Geoff Mann on board it’s easy to understand why Twelfth Night were a popular live draw. He often sounds like he’s channeling Peter Gabriel and David Bowie simultaneously and even digs into some manic shouting on occasion. In truth, Twelfth Night were the least proggy of their contemporaries, though this allowed the punky energy Mann channeled to lend a freshness and vitality to the proceedings. On songs like “Puppets” and “Three Dancers” one can hear the group hitching their horse to the new wave movement, while the blueprint for bands like Marillion and IQ shows up in songs like “Creepshow” (parts of which sound like Marillion could have lifted wholesale). Twelfth Night’s original style — when they were essentially an all-instrumentals group — surfaces on spacey tracks like “Für Helene Part II” with guitarist Andy Revell itching to veer into a Pink Floyd-inspired jam. It all makes for an essential slice of prog rock history and a must for any Twelfth Night aficionado. For Art & Illusion some work was required on bonus material since the original album was really just an EP on steroids. This had to do with the band’s management wanting to hold back material they thought better able to sell them to a major label. Remember, this was 1984 and British neo-prog bands were being snatched up left and right in hopes of following Marillion’s success. It’s a matter of debate whether the band were well served by new singer Andy Sears or if they would have been better off with Geoff Mann, though there’s no denying Sears gave it 150% on these songs and — along with an upbeat and punchy production courtesy of Gil Norton (Echo & The Bunnymen) — the album did announce Twelfth Night as a serious entrant into the new wave scene. The album managed to crack the UK album charts (reaching #83), though success was short lived and a couple years later Sears would depart and a rapid decline to dissolution would commence. But fans can console themselves with this excellent reissue, which includes copious demos for songs like “Blue Powder Monkey” and “Take a Look” that would appear on the next album. A second disk of recordings from the tour in support of Art & Illusion proves that the band were more than capable of translating the material — both new and old — into an energized and potent live set. Probably the best things about these new Twelfth Night reissues is that the band themselves are directly involved, which means access to the best bonus material available. Plus, the folks at Festival Records are real fans, and have put serious effort into giving the punters the best value for their dollar / pound / euro.